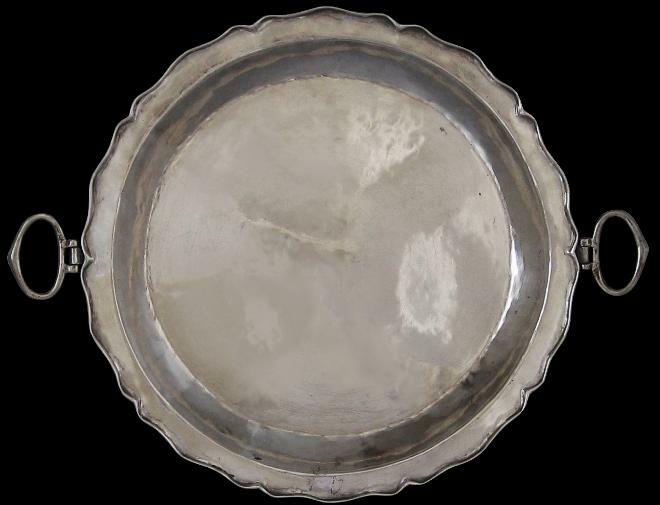 This beautiful, large silver platter is from eighteenth century Spanish colonial Central or South America. 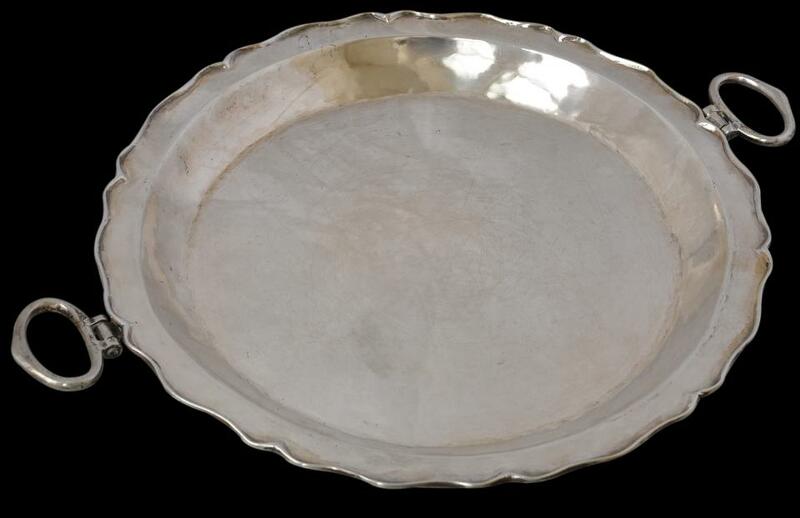 Made of hammered and chiselled high-grade silver this plate is heavy for its size and has a beautiful finish. It follows the classical Louis XVI style with its scalloped rim. It is relatively deep, and has a wonderful tactile quality. It has two well-cast handles on either side. The means by which the handles have been fabricated and attached demonstrates this item as a quality piece for an affluent colonial Spanish home. 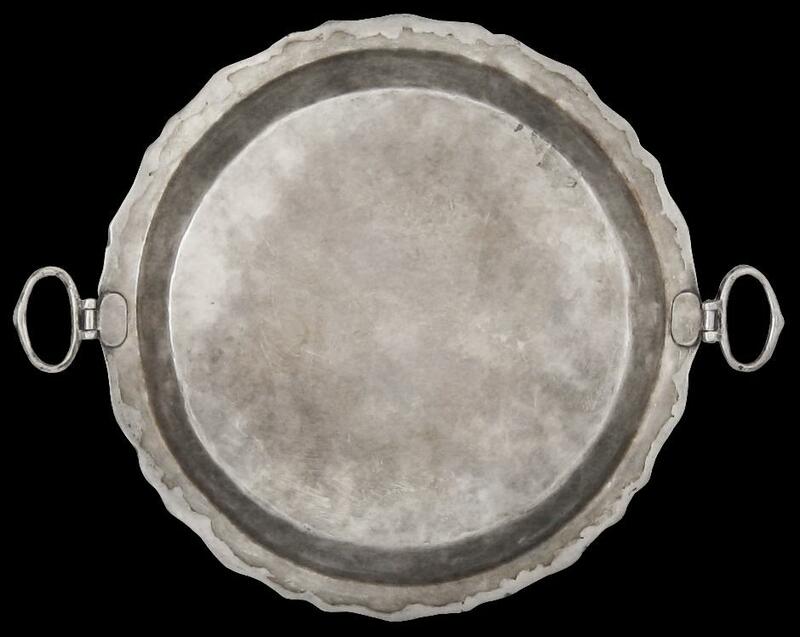 A platter of this size would have been used for carrying and serving a large quantity of roasted meat for important sumptuous feasts. 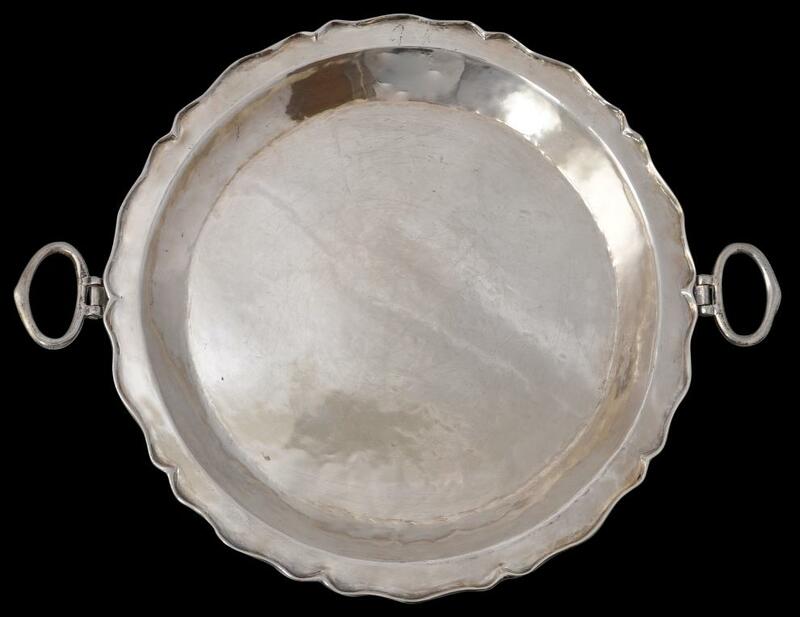 Spanish colonial silver generally tends to be heavy for its size. Typically it was made by hammering or raising a sheet of thick silver into the required form using a mallet and then planishing it with a small flat-faced tool to remove hammer indentations. This left surfaces smooth but with a surface shimmer so that most extant Spanish colonial silver is both pure and has a rich depth. Overall, this is an excellent platter of high quality, excellent weight and an unusually large size. There are no repairs, dents or cracks.